Collaborate with Fish & Bee Studio to co-create stunning personal paintings for your home or work space! For kids, adults, families, schools and companies. 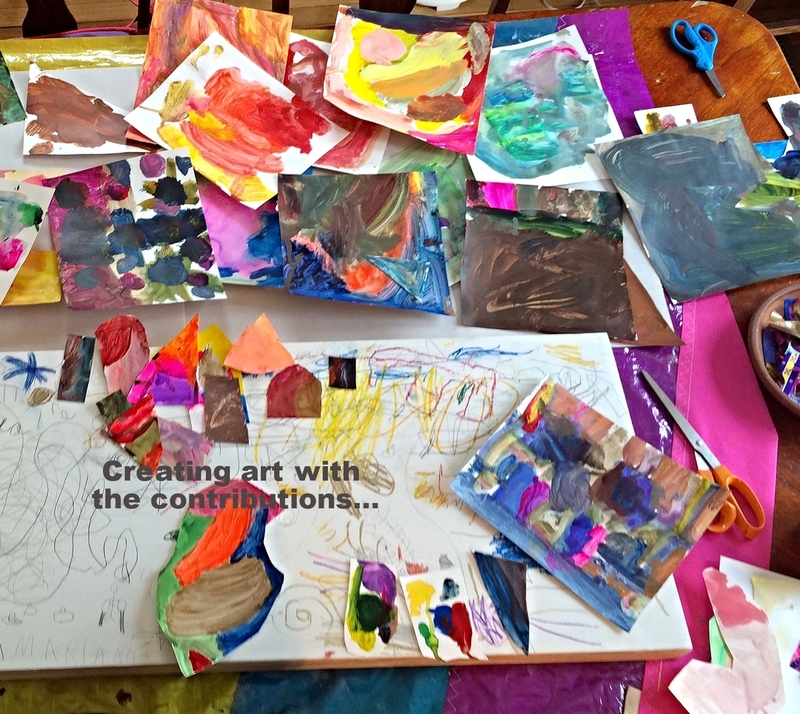 Fish & Bee Studio Collaborative Painting brings you, your kids or your whole family into the studio to co-create with artist Beth Bogle a truly creative and personal work of art to inspire you for years to come. Beth engages the artist in everyone with story, color, texture, shape, nature, and a special design process. Artists draw and paint on the custom birch panel provided, as well as cotton rag paper and linen. Beth transforms the shared elements into a vibrant lively life masterpiece, ready-framed and easy to place in your world! 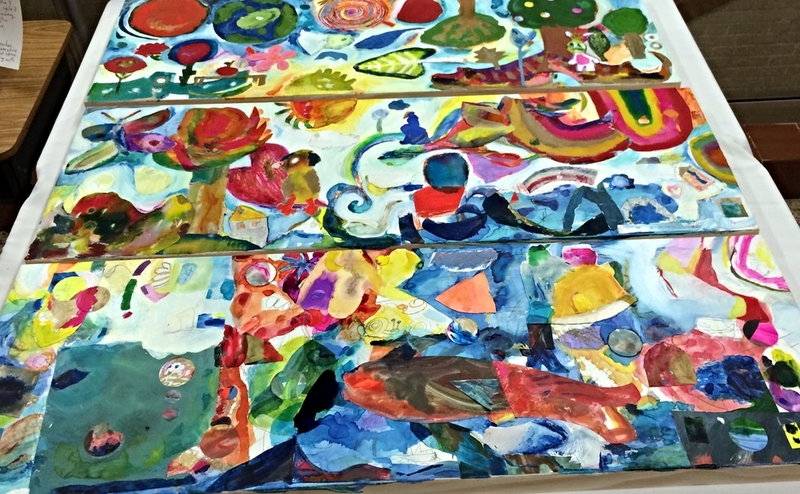 Fish & Bee Collaborative Painting is perfect on an outreach basis for school groups and companies. Builds positive culture and identity, creative outlook, beauty and trust. Please inquire and join us!